Divorced parents need to trust their child is safe with an ex-spouse, and that for the child’s well-being, he/she will be returned at the appointed time. Sharing child custody or time-sharing as it is now called is a complicated situation that is almost guaranteed to involve obstacles, even between parents with good communication and cooperation. Real problems arise, though, when one parent starts to believe he/she should have more parenting time or sole custody of the child. Under this mindset, a parent may be tempted to keep the child beyond the allotted time scheduled, or simply refuse to return the child when required. Such actions violate the parental rights of the other individual, and should be taken seriously. The more leeway a parent in violation of the parenting plan is given, the easier it will be for him/her to escalate the unauthorized acts. One unfortunate example of this situation involves a Texas father fighting a 5-year battle for the return of his son to the United States from Brazil. The boy’s mother took him to her native Brazil under the guise of attending a family wedding, and has held him there since, in violation of a Texas custody order prohibiting relocation. A discussion of a parent’s options when violations of the parenting plan occur, including when actions rise to the level of kidnapping, will follow below. Removing a child to a new location without the knowledge or consent of the other parent does not automatically qualify as kidnapping. Legally-recognized parents have the right to travel with their child at will, and do not need the permission of the other parent to take such action. 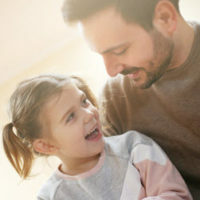 Restrictions on this ability only come into play when a court order related to child custody is in play, typically connected with a divorce or paternity action. If both parents have full legal rights, and child custody is not an issue before a court, the other parent will have real difficulty convincing law enforcement to get involved. Consequently, if there is any concern about a parent taking a child out the area or hiding him/her from the other parent, a family law attorney should be contacted immediately about initiating proceedings before the parent has a chance to act. If there is a pending divorce action, or established custody order, the parent being denied time with their child can file an emergency motion for the child’s return if it determined that the child is in danger, which if granted would be executed by the sheriff’s office if the child’s location is known. Note that something more than threats are needed to get court action, and will require a parent showing steps to remove or conceal the child, such as plane tickets, school registration, or selling a home. These situations are never easy, but resolutions are logistically simpler if the child is not taken too far from home. The farther away a child is removed, the more complicated it is to find a method of enforcing a return. For children taken to another State, the Uniform Child Custody Jurisdiction and Enforcement Act allows judges in different States to communicate and decide where custody issues should be handled. The child’s home State is typically the place given jurisdiction, so it is best to seek enforcement immediately before the other parent has time to establish residency somewhere else. Further, if the child is taken out the country, U.S. law enforcement loses jurisdiction, and getting the child back is dependent upon whether treaties apply (which only certain countries have adopted) and/or the cooperation of local authorities to execute arrest warrants if criminal charges are filed. The outcome in international disputes is far from certain, so being proactive to prevent the child from being relocated is the best strategy. The safety and well-being of your child is a top priority, and if you have concerns an ex- spouse or -partner is planning to withhold your child, you need to talk with a family law attorney. The Florida attorneys at the Donna Hung Law Group understand how sensitive this issue is, and will use their years of experience to strongly advocate for your rights in court, if necessary. Contact us at (407) 999-0099 to schedule a consultation.